First opened in August 2014, Commissary is part of The Line Hotel, and owned by Roy Choi, Dave Reiss, Paul Pruitt and Natasha Phan. 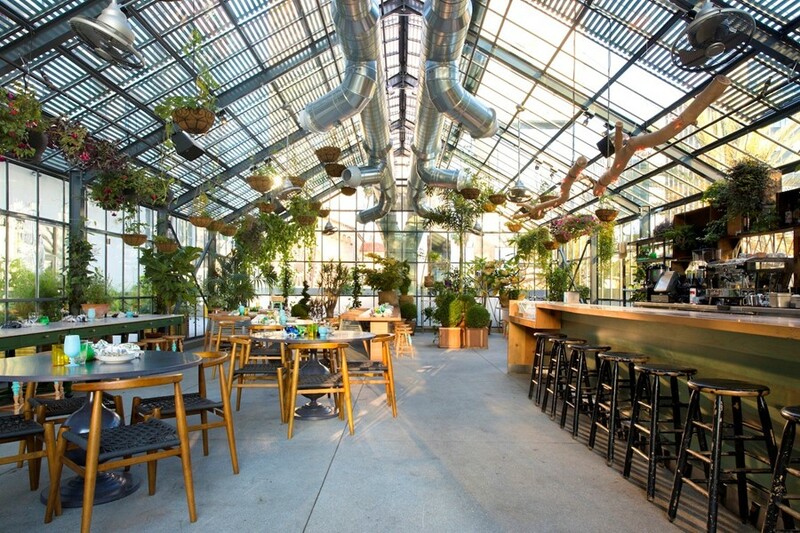 The restaurant is a greenhouse, designed by Sean Knibb, which sits next to the hotel's pool on the second-storey roof. The interior is packed with a variety of plants, many of them hanging from the roof. It’s not necessarily a vegetarian restaurant, but all of the food (by executive chef Diego Echavarria) and drink (cocktail menu devised by Roy Choi and Matt Biancaniello) have plants as their foundation. It's also, the owners say, an "homage to all the people and families in So Cal that work on farms to bring food to our tables". The menu, a sort of visual bingo card, presents a selection of dishes intended for sharing which keep even the most dedicated meat-eaters keen to return time and time again. 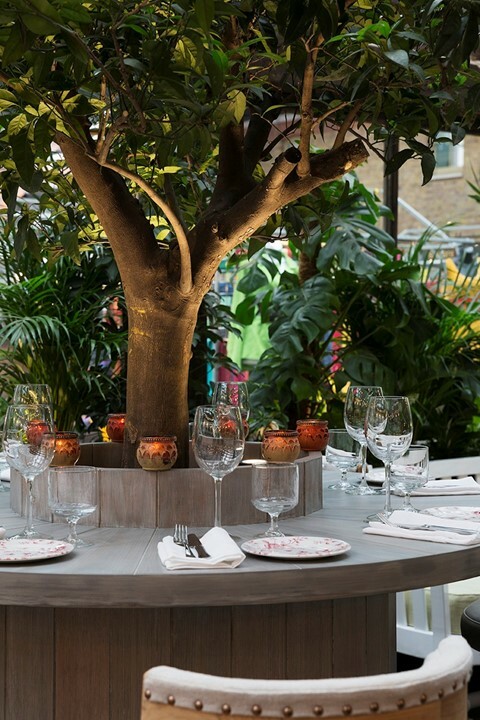 The newly opened Blixen garden, which seats 30, is designed by east London florist Grace and Thorn. "The Blixen garden oasis takes inspiration from all corners of the world," says Grace and Thorn's founder Nik Southern. "The garden has a colonial feel featuring indoor plants such as the tropical Kentia Palm and the Cheeseplant. British natives such as ferns and ivy also feature heavily." Blixen is located on Brushfield Street E1, which runs alongside London’s Old Spitalfields Market. Once a bank with lofty ceilings, the restaurant is filled with natural light. The interior has been designed to ensure that guests feel relaxed – informal with a classic, old world twist. A terrazzo-tiled floor anchors mid-century pieces of furniture, brass fittings, a long walnut bar and leather banquettes. The dining room progresses through a plant-filled pergola out to an undercover garden full of greenery, all overlooked by the kitchen’s wall of windows. This is the second opening under the Ivy Market Grill umbrella which first launched with an all-day restaurant in Covent Garden in December 2014. The new King's Road restaurant is made up of various areas, incluing a bar and bar lounge, café, restaurant and orangery. 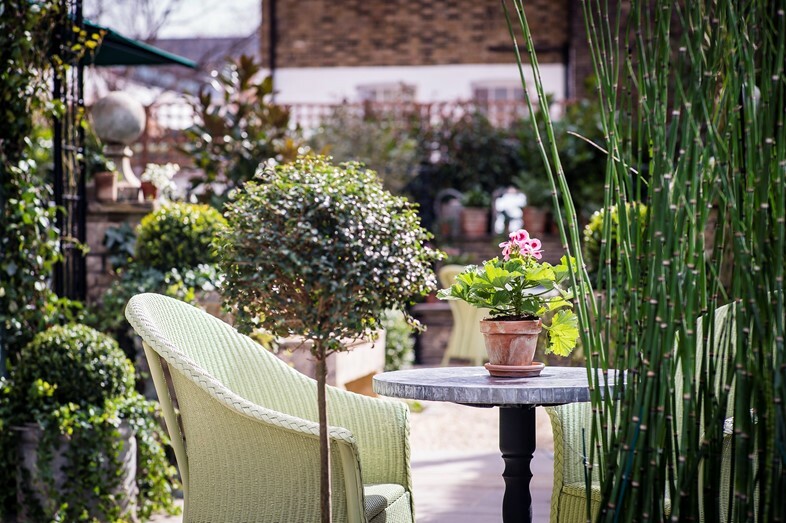 The terrace and garden showcases wisteria and climbing roses, stone clad fountains and leafy trellises. The modern British menu includes international dishes like raw yellow fin tuna carpaccio with spiced avocado, lime zest, crème fraîche and coriander shoots and chopped lobster rigatoni bake with Amalfi lemon and zucchini.